Fibromyalgia is a syndrome distinguished by chronic pain in the muscles, ligaments, tendons, or bursae around the joints. It is called a syndrome because it includes a set of conditions that always occur together. The term fibromyalgia comes from a combination of three Latin words. Fibro – (fibrous, for the soft tissues of the body under the skin, especially around the joints, including tendons, and ligaments), my – (myo, for muscles), and – algia (pain) meaning pain in the supporting tissues around the knee, or muscles around the shoulder. It is not a new disease but was described as early as the 1700s. In 1904, it was named fibrositis and in the 1980s renamed fibromyalgia. With the recent emphasis on natural and organic living through the media and medical outlets, consumers are looking for products that are natural and still yield the results that they are looking for. The advantages of Sea Buckthorn are broad and make it a great alternative to traditional western medicine. If you have any of the following ailments; inflamed joints, a weak immune system, or weak tissues and membranes, Sea Buckthorn could be a viable solution. Read on about some of the benefits you can expect from taking sea buckthorn as part of your daily regimen. The following conclusions were drawn from the examination of a number of current studies on fibromyalgia symptoms and treatment combined with our extensive knowledge of the properties and activity of Sea Buckthorn. 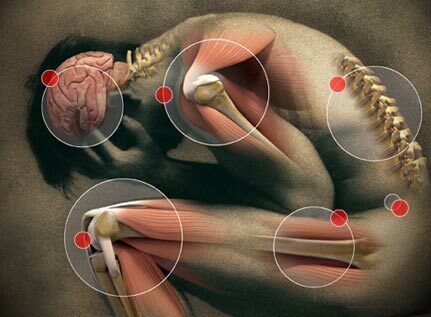 Fibromyalgia Pain is mainly caused by inflammation of the joints. Inflammation is the response of the body’s prostaglandins (substances that help the body with many different functions) to a perceived injury or infection. Prostaglandin production is modulated by essential fatty acids. In 100 g of Sea Buckthorn, there is between 6 and 11 percent essential fatty acid content, with about 3 to 5 percent in the fruit pulp and 8 to 18 percent in the seed, according to the Institute for Traditional Medicine. The main essential fatty acids in Sea Buckthorn are Omega-9, Omega-7, Omega-6 and Omega-3. According to the “American Journal of Clinical Nutrition,” such essential fatty acids are essential for normal growth and development. They may also be beneficial in treating or preventing arthritis, and other joint disorders. Read more about sea buckthorn for joints and arthritis. 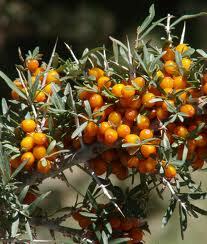 Sea Buckthorn oil is has been used as an anti-inflammatory in China and Europe for hundreds of years. A 2010 study by the Institute of Chemical Process Fundamentals, Institute of Chemical Technology and the Institute of Experimental Botany in the Czech Republic, published in the “International Journal of Molecular Sciences,” noted that Sea Buckthorn fruit, oil, bark, and leaves all have anti-inflammatory and anti-bacterial properties. Read more about sea buckthorn’s incredible anti-inflammatory properties. Caffeic acid and Ferulic acid are potent inhibiters of allergic reactions and tissue swelling. 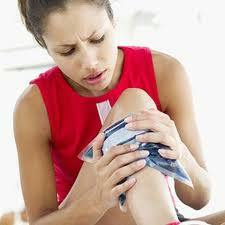 Salicylic acid reduces inflammation and is a natural analgesic. The large amount of Quercetin in Sea Buckthorn inhibits the production and release of histamine and other inflammatory substances. Sea Buckthorn contains enzymes called Superoxide Dismutase and Vitamin E which are powerful antioxidants that support cellular health and hence the body’s ability to cope with stress and fight off inflammation. The outstanding health-promoting properties of Sea Buckthorn and its unique oil have earned it a well-deserved reputation of a powerful natural healer both in Asia and in Europe. In addition to being used as a treatment for healing burns and wounds, it has also become a very popular daily supplement believed to provide additional health benefits for Fibromyalgia sufferers by acting as a powerful immune system booster and reducing inflammation and promoting tissue regeneration. Teitelbaum, J and Bird, B. “Effective Treatment of Severe Chronic Fatigue: A Report of a Series of 64 Patients,” Journal of Musculoskeletal Pain, 3 (4) (1995): 91–110. Teitelbaum, J., Bird, B., Greenfield RM, et al. “Effective Treatment of CFS and FMS: A Randomized, Double-Blind Placebo Controlled Study”, Journal of Chronic Fatigue Syndrome, 8 (2) (2001). Larmo P, Alin J, Salminen E, et al. “Effects of sea buckthorn berries on infections and inflammation: a double-blind, randomized, placebo-controlled trial.” Eur J Clin Nutr 2008; 62(9):1123-1130. Have you heard “Hand, Foot, Mouth Disease” and Dengue Virus? These viruses is popular in Singapore and sometimes fatal especially among children below 6 years of age. Can Sea Buckthorn wonder fruit suppresses these viral infections or as a prevention? Effect of Hippophae rhamnoides leaf extract against Dengue virus infection in human blood-derived macrophages. Jain M, Ganju L, Katiyal A, Padwad Y, Mishra KP, Chanda S, Karan D, Yogendra KM, Sawhney RC. Immunomodulation Laboratory, Defence Institute of Physiology and Allied Sciences, Lucknow Road, Timarpur, Delhi 110054, India. The observations from this study suggest that the SBT leaf extract has a significant anti-dengue activity and has the potential for the treatment of Dengue. In fact when compared to the traditional dengue fever treatment (the commercially available anti-viral drug Ribavirin®), sea buckthorn showed similar anti-dengue activity as evidenced by its ability to maintain the cell viability of infected cells along with decreases in TNF-alpha and increases in IFN-gamma. Again, we always want to insist you check with your health care provider before making any medical decisions. There has been research on sea buckthorn indicated it may have anti-tumorigenesis properties. Again, this is an area you may want to try alongside with your current medical professionals advice. 4th stage cancer isn’t a time to take a gamble … supplement with sea buckthorn oil to improve your immune system and overall health but don’t rely on it. There’s just not enough information indicating how strong it is when dealing with cancer. Since your question is medical in nature we always want to insist you check with your health care provider before making any medical decisions. Sea Buckthorn has a lot of clinical research and ever more anecdotal evidence of its health benefits. In Eastern Medicine where many consider sea buckthorn oil a panacea, it would be recommended internally and even vaginally to help with the fibroids. This is an area we haven’t seen studies on nor have we heard anybody’s experience using it for fibroids. Feel free to give it a shot! It’s just a fruit oil and has plenty of benefits for the human body. How much sea buckthorn oil do you take to improve dry eyes? Is it an eye drop, capsules, or ??? I also have fibromyalgia and dry very itchy skin. You will need to start taking a sea buckthorn supplement internally to help improve dry eye conditions. Typically, sea buckthorn products come in capsules and you can also purchase the oils in dropper bottles. Sea buckthorn is known to also help with inflammatory conditions like fibromyalgia and and help with various skin conditions. We would suggest that you find a high quality supplement capsule that has 100% sea buckthorn oil from both the fruit and the seed. Just follow the serving recommendation from the bottle, this will vary by product. Be sure to read the labels before you purchase because some companies do add filler oils in their caps.